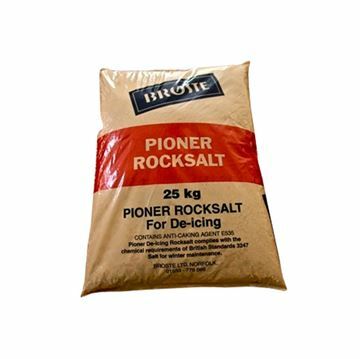 Dry white rock salt with coarse and fine crystals which ensures friction, rapid thawing and long lasting impact for de-icing paths, driveways, roads etc. Great for use in in salt spreaders, or to keep pavements and car parks free from ice and snow. 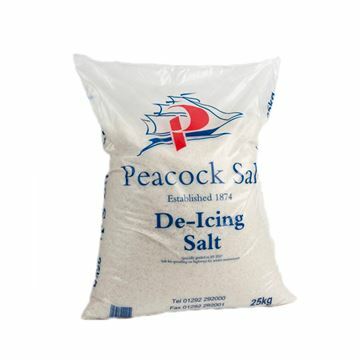 Peacock Salt white marine salt is a BS3247 certified high quality winter de-icer which leaves no messy residue when trodden into vehicles or buildings. Narrow hand scraper allows access to small areas and rounded equipment like large bowls. it is useful for loosening stubborn dirt i.e. pastry, chocolate, burnt food, etc. the polypropylene construction reduces the possibility of scratching surfaces. 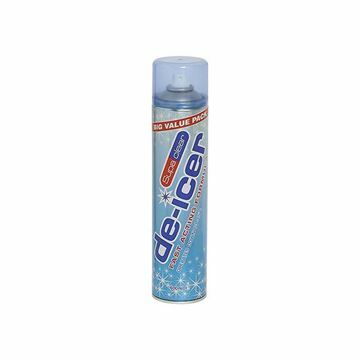 Fast acting formula, rapidly removes frost and ice from windows. 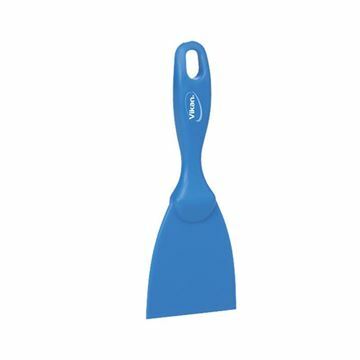 A 400mm snow shovel with handle. This product is ideal for heavy duty lifting and removing heavy snow falls. The Wolf Garten Drop Salt Spreader is a high quality drop spreader from Peacock Salt. 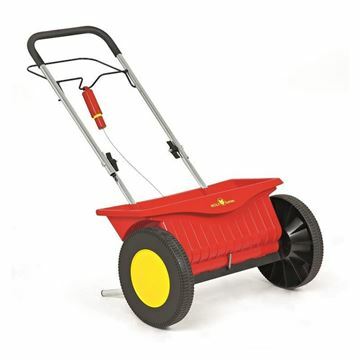 Easy to assemble, lightweight and manoeuvrable, this spreader holds 20kg and can handle all BS3247 certified rock salt, winter de-icing salt and granular fertiliser (clean thoroughly between uses). With a handy flow control mechanism you can control the salt dosage, this spreader will grit you through the worst of UK winters.